We have long been fans of the Otterbox cases because of the superior quality and protection. The company recently created the Relex Series case for the iPhone 4 and we got a unit to review for the site. Typically, Otterbox cases are rather bulky but offers protection from almost any accidents you can think of. 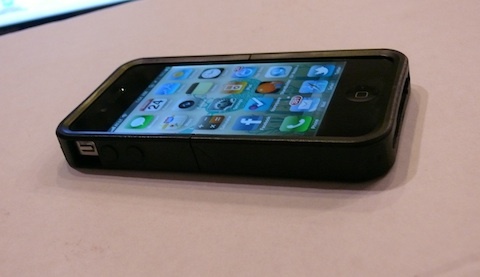 The Otterbox Reflex Series case for the iPhone 4 is designed to be compact and lightweight. Otterbox definitely accomplishes this being much thinner and lighter than any other Otterbox cases we have played with. To still offer superior protection, the Reflex Series case surrounds your iPhone 4 with a cushion of air so it can still take a hit without damaging the phone. The case itself does not feel as high quality as the other cases we have reviewed, but that is to be expected when the company is trying to slim down the phone. Most of the case is made from a plastic material with many parts of it rubberized to for damage control. The rubber parts, or “Reflex Zones”, incorporated into the plastic should help absorb the shock and provide a cushion of air. Putting the case on is very easy, just slide the bottom piece and top piece together on the phone and it stays on well. It is relatively sturdy when it is snapped on, and makes for easy removal if you would like to dock the bottom of the phone. Overall, the case feels like it does offer good protection, but feels a bit cheaper than what we expect from other Otterbox cases. Unlike many of the other Otterbox cases, the Reflex case leaves the dock and headphone jack exposed to water, dirt, or whatever. The volume buttons and standby button is covered with a piece of plastic that works just right. 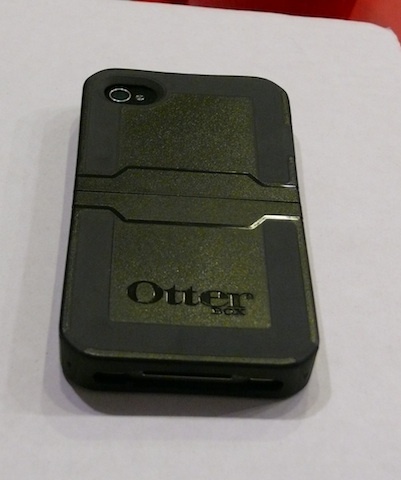 The Otterbox Reflex Series case for the iPhone 4 comes in a variety of colors and will run you $44.95. You can check out the Otterbox website for more details. Hey There. I found your blog using msn. That is a really well written article. I will be sure to bookmark it and come back to learn more of your useful info. Thank you for the post. I will definitely return. Thank you for every other magnificent post. Where else may anybody get that kind of info in such a perfect means of writing? I have a presentation next week, and I am at the search for such info. F*ckin? tremendous issues here. I?m very satisfied to look your article. Thank you so much and i am taking a look forward to contact you. Will you please drop me a e-mail?